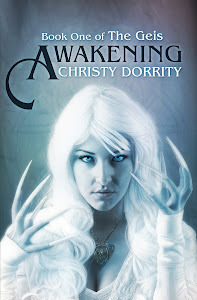 Christy Dorrity Author: Friday-Blog Hop Time Again! Don't forget to check out this weeks Tasty Tuesday recipe inspired by Spells written by Aprilynne Pike. Stopping by from the Blog Hop! You have a wonderful blog! thanks so much for hopping by my blog :) your blog looks really lovely! A big hello from Idaho. Happy writing! Thanks for stopping by last week, now following!